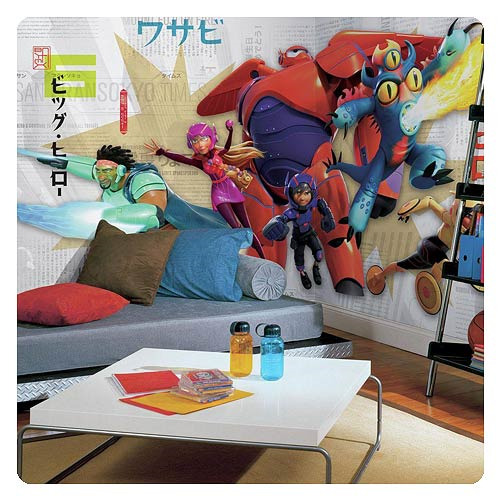 Decorate a space full of excitement and adventure with this Big Hero 6 Chair Rail Giant Ultra-Strippable Prepasted Mural! Complete with seven panels that assemble to form one giant wall mural, this wall decor addition is the perfect way to transform a space in minutes. This mural is easy to apply, and can be removed with no mess if necessary. Decal measures 6-feet tall x 10 1/2-feet wide once fully assembled.